 We currently have 4 in stock at Wells, 0 in stock at Congresbury (as of 25/04/2019 16:24:39). (Stringless red flowered variety) At last the bean that everyone has been waiting for, an improved form of the best selling bean 'Scarlet Emperor'. 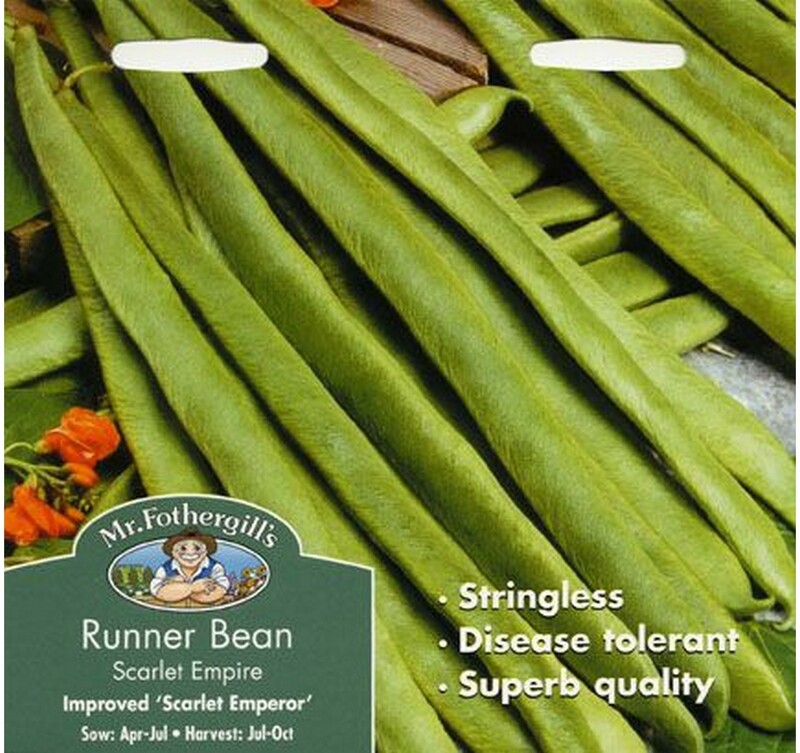 Bred to have greater tolerance of disease, whilst still retaining a great flavour. 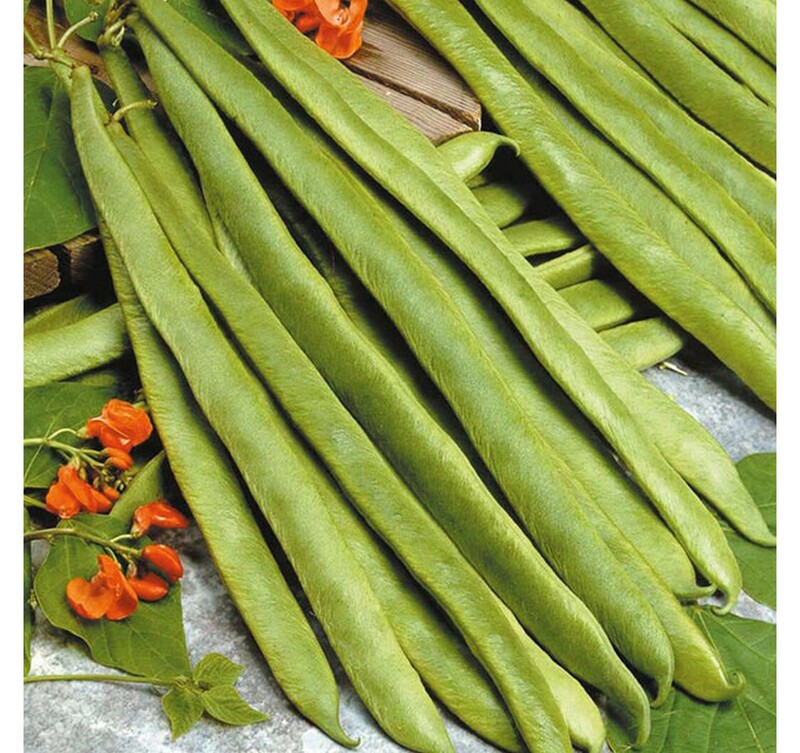 Prolific crops of long, slender beans on vigorous plants. Sow indoors for surest results April-May, 2.5cm (1") deep into individual pots of compost. Water well and place in a warm position. A temperature of 15-20°C (60-68°F) is ideal. Keep moist. Seedlings usually appear in 7-14 days. Gradually accustom plants to outside conditions (avoid frosts), before planting out 25cm (10") apart, during May-June when frosts are over. Allow 45cm (18") between rows. Or sow outdoors May-July for ease, where they are to crop, 5cm (2") deep, directly into finely-prepared, well-cultivated, fertile soil, which has already been watered. Delay sowing if soil is cold or waterlogged. Sow two seeds together, 30cm (1') between each position. Allow 45cm (18") between rows. Thin to leave stronger plant. Water well until plants are established. Harvest: July-October.